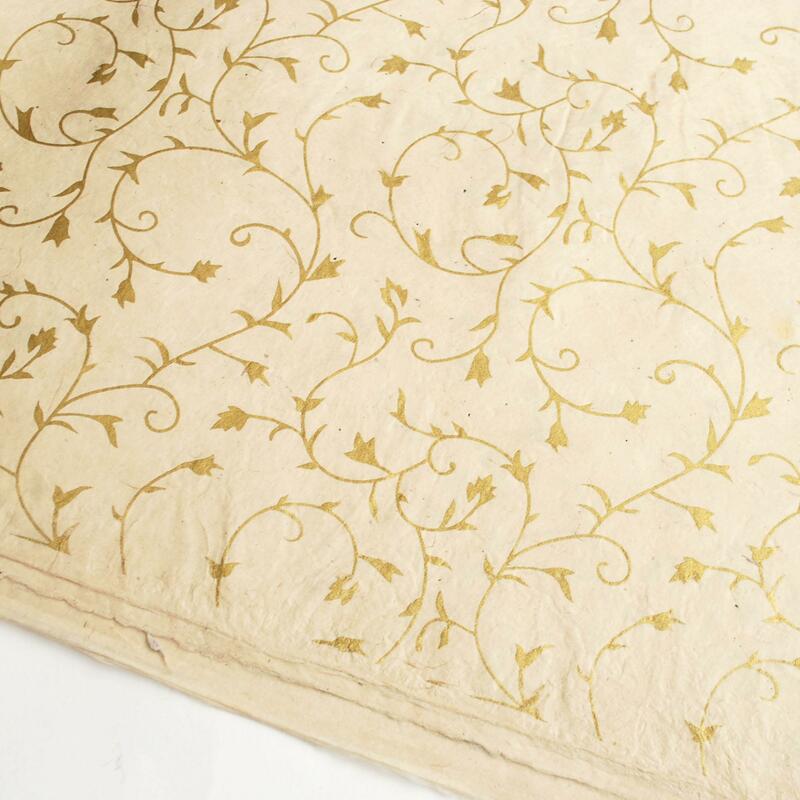 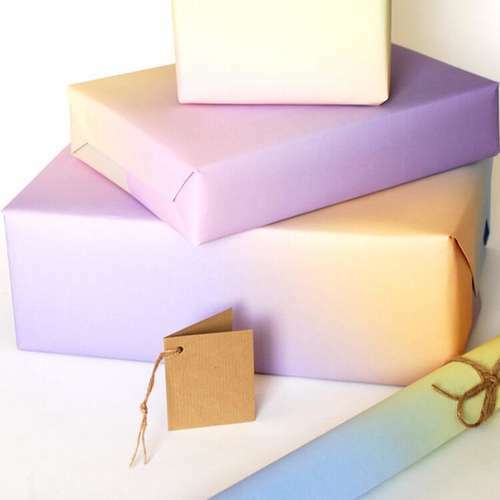 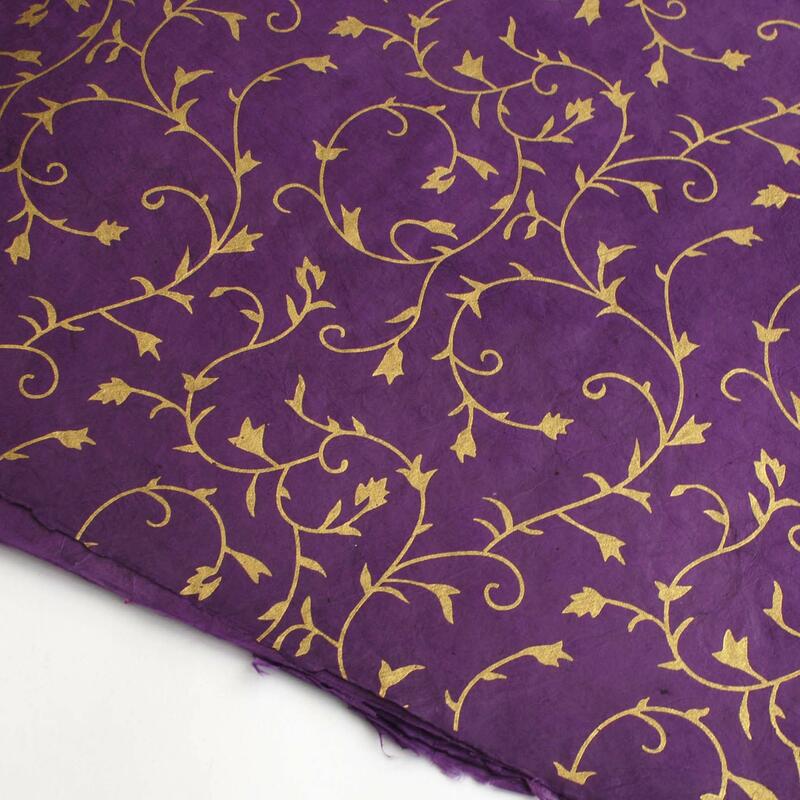 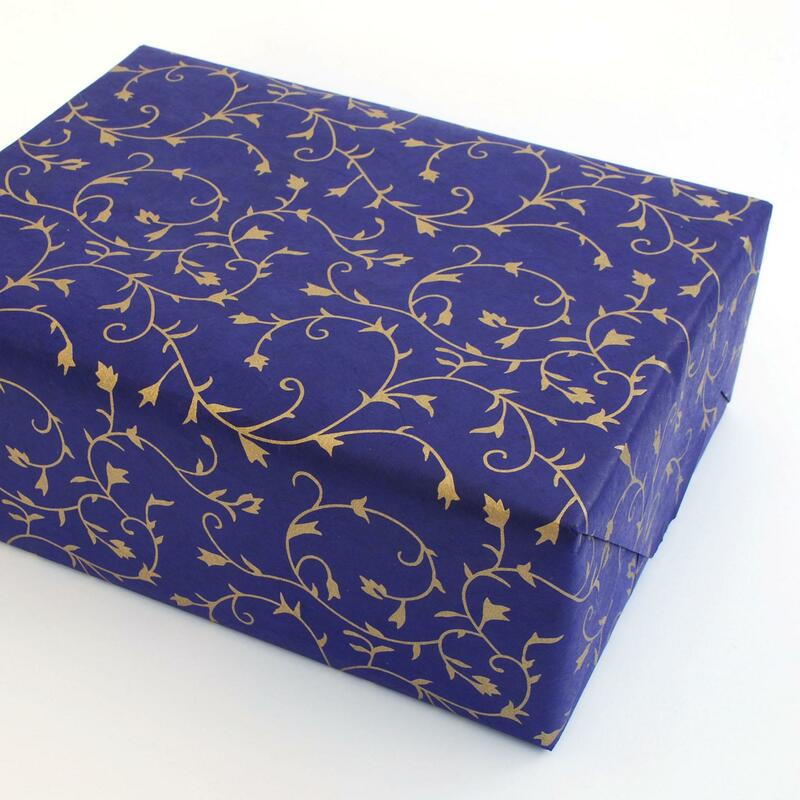 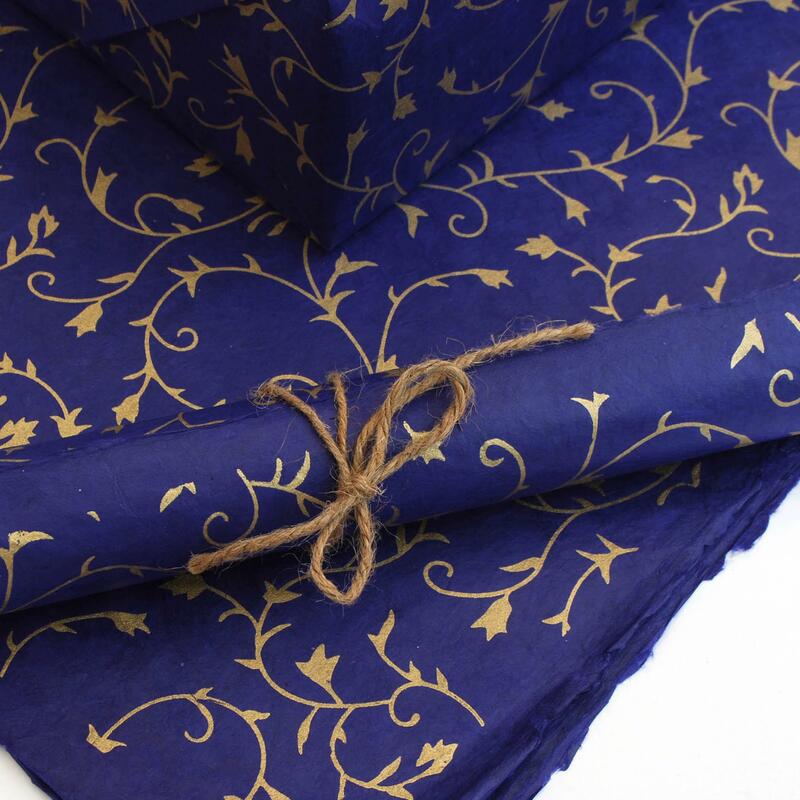 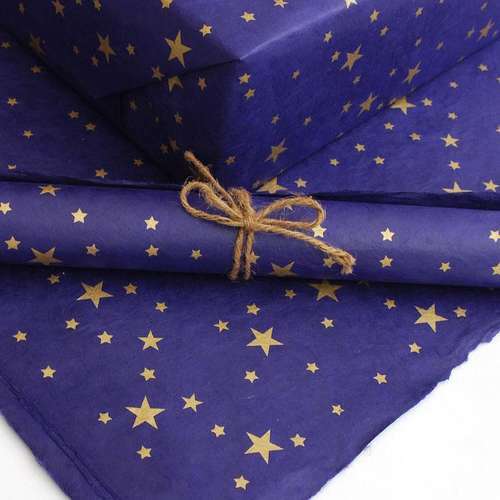 This gorgeous wrapping paper is handmade in Nepal using bark from the Lokta shrub. 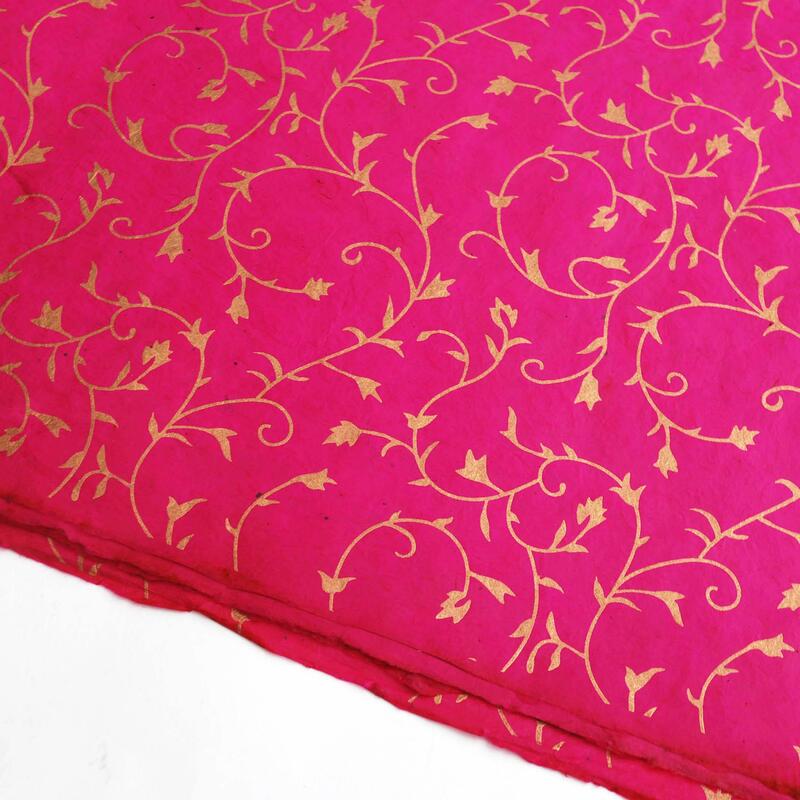 This plant grows in the Himalayas and naturally sheds its bark each year whilst continuing to grow, allowing the locals to harvest this sustainable source and turn it into beautiful gift paper. 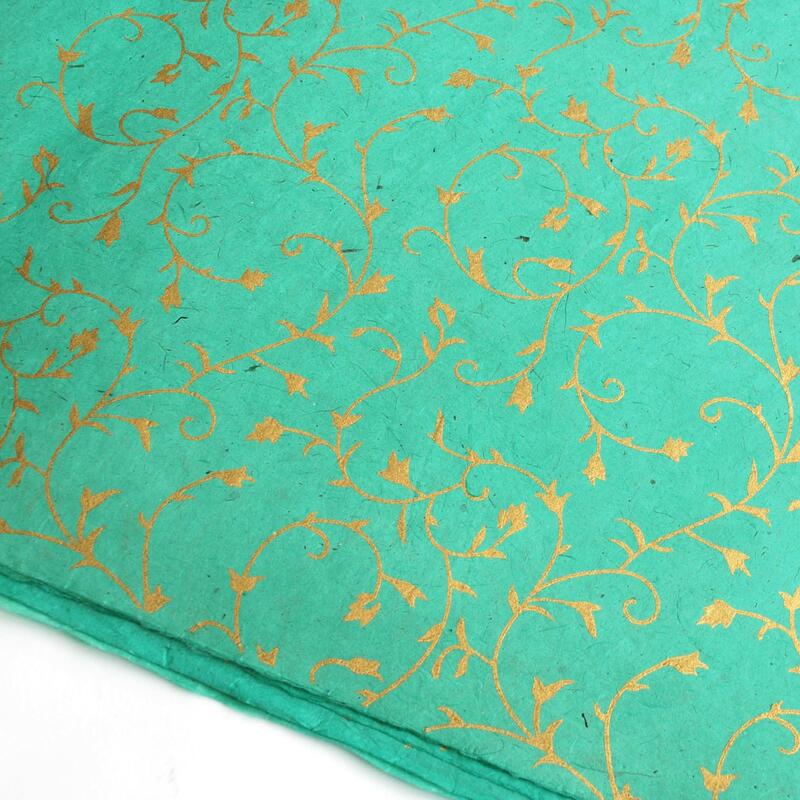 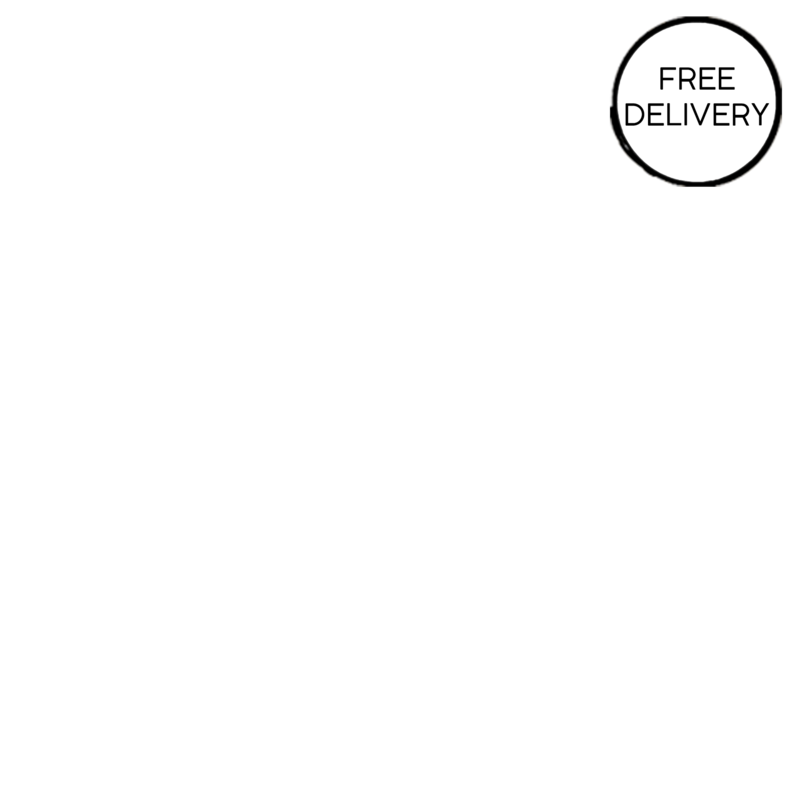 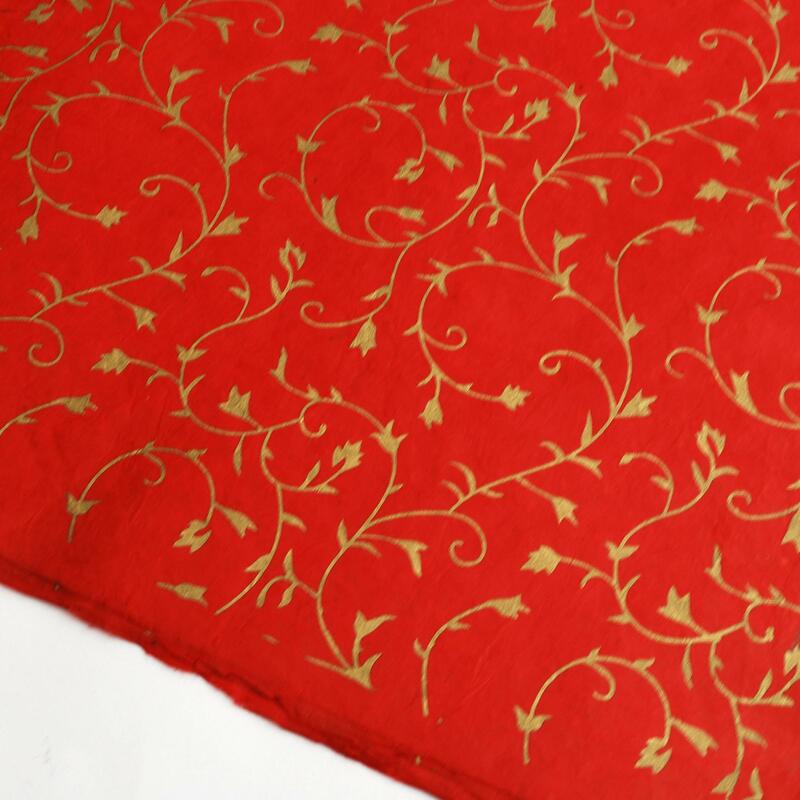 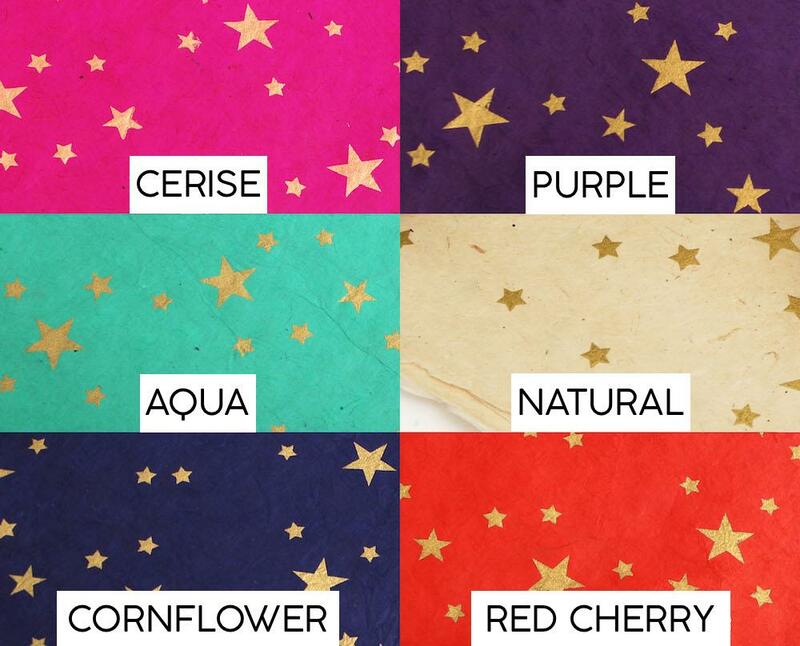 Natural dyes are used to create the vibrant colours and water based inks for the print.